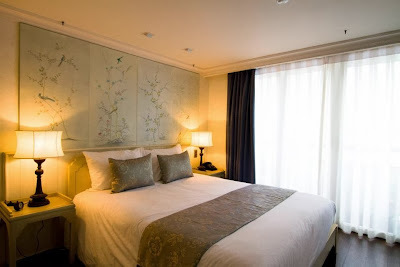 The Superior Staterooms are located on the main deck of Jayavarman Ship. You may have twin bedded cabins as well as double cabins. The Jayavarman superior cabins are all with in-room bathrooms. The large floor to ceiling panoramic glass doors open to the balcony (5sqm). Measuring a total space of 21sqm (incl. balcony), the Superiors are appointed with wooden, white furniture design supported by decent Asian ornaments and fine-art paintings on the walls and ceilings.